I love Caleb in the Bible. He was a man of faith who fought for 45 years to take the land of Israel. And when he was 85, he could say: “I am still as strong today as I was in the day when Moses sent me; as my strength was then, so my strength is now, for war and for going out and coming in” (Joshua 14:11). Caleb was a fighter his entire life! He fought giants and drove them out of Israel. God wants you to be a fighter—and to stay a fighter. Never allow the devil to knock “the fight” out of you! I have seen this happen to men and women of God as they got older. They became soft and lost their passion. They became distracted by material things or got tired of the difficulties of ministry. Or they made moral compromises that made them weak. Or they looked for easier paths instead of running to the next challenge. 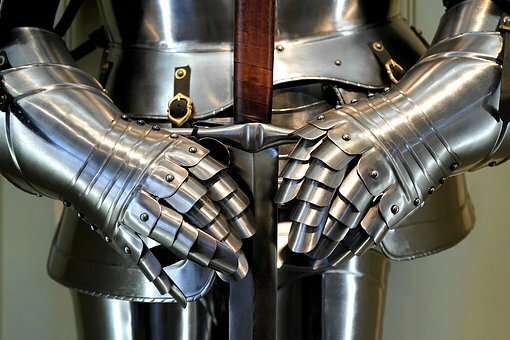 Keep your armor on at all times, stay full of the Holy Spirit, resist temptation and be aggressive as you take territory for God and make more disciples!